The NBA player is not with his baby in Calabasas, though. 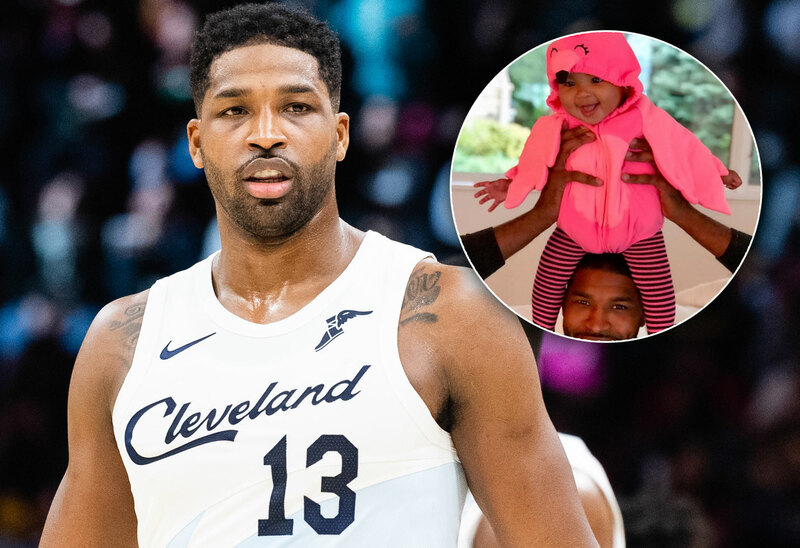 Tristan Thompson celebrated his daughter True’s first birthday on Instagram — not in person. The NBA player posted some adorable photos of his little one on April 12, but he made it clear in the caption that they’re not in the same place right now. Eagle-eyed fans also noticed that none of the photos of his daughter were particularly recent. One photo even showed True with her rarely seen older brother, Prince, 2. The post comes amid his budding social media war with True’s mom, Khloe Kardashian. Click through the gallery for all the info on Tristan’s birthday wish and True’s big day. He included a photo of True dressed as a flamingo from Halloween. One photo was from the day she was born. Another featured his mom Andrea. But none of the photos seemed particularly recent, given how young True looks in all of them. As Star readers know, Tristan and Khloe, 34, have been fighting ever since he cheated on her in February. Though she called him a “good dad” on Twitter, she’s also majorly insulted him in some of her Instagram posts. Tristan, meanwhile, seems to be spending his daughter’s birthday in Canada. About seven minutes after the Toronto native posted his tribute to his daughter, Khloe made another post herself. She surrounded True with pink birthday balloons. What do you think of Khloe and Tristan’s social media sparring? Sound off in the comments!